Do people who identify as LGBTQ struggle for acceptance in Appalachia? In this week’s episode of Inside Appalachia, we explore how ideas about gender are changing across the country and in the region. 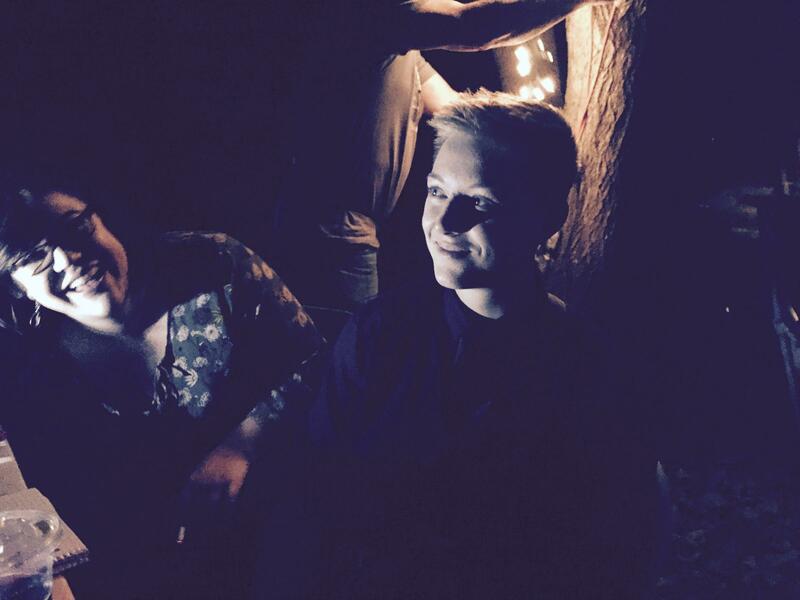 Still, some people, like 20-year-old Soleil-Dawe, who lives in Shepherdstown and identifies as gender queer, have found that coming out to their family isn’t easy. How Does Appalachian Culture Affect Gender Identity? “In Appalachia culture, which is a valid culture, they have very strong views on what is masculine and what is feminine,” said Dr. Darlene Daneker, an Associate Professor in the Counseling Department at Marshall University. She’s had several peer-reviewed publications on gender identity, and for the past three years, she’s worked to counsel transgender people, both adults and teens. Daneker recently spoke with Inside Appalachia’s Jessica Lilly to discuss how changing attitudes towards gender are affecting teens and adults in West Virginia. This NPR story from WNYC's Yasmeen Khann follows the story of a child who was biologically born female, but started identifying as a male at 3 years old. He is right on the cusp of puberty, and is now starting to face the reality that they have to make a decision before puberty really sets in. Q is a vibrant, happy child with many hobbies and interests. But he has some tough choices to make on the road ahead of him. As a small child, Bill Richards remembers always feeling sort of feminine. He grew up in Rainelle, West Virginia, and spent lots of time with his family. Although once he got to high school, he thought that he was just a normal, sexual guy. Later he found a book called City of Night, which he claims changed his life forever. He started realizing that he really had an interest in gay life, but his family didn’t accept it. When Bill returned to West Virginia after being in Chicago for some time, he relinquished his gay identity and married a woman. He quickly found that he couldn’t live a lie, but the law caught up to him even faster, as he told Trey Kay for the Us and Them Podcast. It’s nothing unusual to think about leaving your hometown after you graduate high school, but sometimes it’s not an option to leave, and sometimes, as we’ve heard, leaving can be difficult and expensive, too. The grass isn’t always greener on the other side. 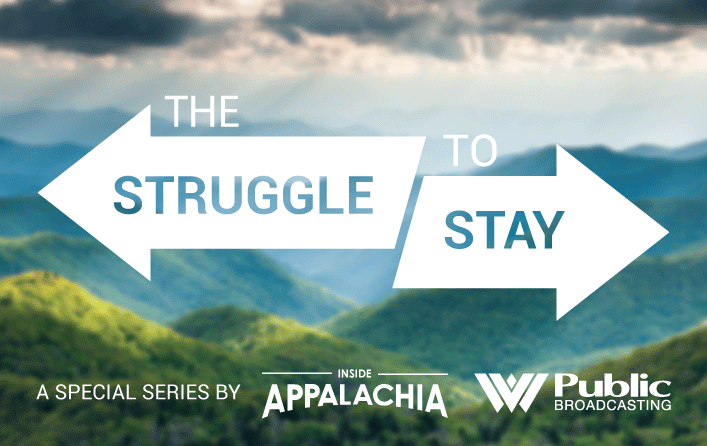 The past few months, we’ve introduced you to three Appalachians on The Struggle to Stay series. Recently, we’ve heard from 20-year-old Kyra Soleil-Dawe in Shepherdstown, West Virginia, who, at the age of 17, started a small theater group called Whiskey Shine and Pantomime Productions, or WSP. Kyra hopes WSP will become credible theater group – one that’s recognized and taken seriously. Achieving this dream is part of Kyra’s struggle to stay. Kyra identifies as gender fluid and prefers they, them, and their pronouns. In this episode, we’ll talk more about changing attitudes toward gender. Opening night of Hamlet. Lydia Johnson and Kyra Soleil-Dawe sit together at a table selling tickets. October 20, 2016. We had help producing Inside Appalachia this week from WNYC, NPR’s Weekend Edition and the Us and Them podcast. Music in today’s show was provided by Marisa Anderson, David Mumford, Michael Howard and Kaela Drew. Inside Appalachia is produced by Jessica Lilly and Roxy Todd. Jesse Wright is our executive producer. Scott Finn edited our show this week. Our audio mixer is Patrick Stephens. Claire Hemme helped with our digital correspondence. We’d love to hear from you. Send us tweet @InAppalachia. This week, Inside Appalachia is hearing from people across the region, sharing their views about the Confederate Battle Flag. This week for Inside Appalachia, we wanted to go on a kind of road trip and meet people who are making community art across Appalachia. Two transgender women say they were ordered to remove their makeup, jewelry and wigs at West Virginia Division of Motor Vehicles offices if they wanted new driver's license photos. Trudy Kitzmiller says employees at offices in Martinsburg belittled her, calling her a genderless "it." Kristen Skinner described similar treatment in Charles Town. The Transgender Legal Defense & Education Fund last month wrote state transportation officials to ask for new photos for the women. The letter said denying them a new photo would violate constitutional free speech rights.